Sing for the Dead is a thrilling mystery that harks back to the glory days of pulp fiction. Packed with action and suspicious characters, Cynthia Drew’s satisfying Sing for the Dead is a hard-boiled mystery with nonstop twists. A 150-year-old artifact has appeared three times at a Sotheby’s auction, drawing the attention of the FBI and Interpol. The artifact, a religious icon called a bulto, was supposedly destroyed in the Smithsonian’s Great Fire in the late 1800s. The question becomes whether the bulto is authentic or a brilliant fake. Agent Jacques Pearce is assigned to the case. He brings in an art appraiser, Micki Jaynes, to help solve the mystery. Micki, who is still smarting from the disintegration of her short but intense marriage, escapes to the a spa to gather her thoughts and relax before she tackles the assignment. Unfortunately, before the investigation can really get underway, dead bodies start turning up and Micki must work hard to solve the case before she ends up dead as well. Set in Santa Fe, New Mexico, as the Day of the Dead approaches, Sing for the Dead is a crime mystery with every type of dastardly villain and underhanded manipulator included. Each chapter adds a new layer of subterfuge as the selfish motivations of the main players are quickly uncovered. Micki remains the only character with integrity or emotions, and she constantly struggles with doing the right thing versus taking care of herself and her future. Red herrings are numerous and keep the book moving at a fast pace. As one suspect is eliminated, another takes their place, and the mystery deepens. The plot is unveiled from numerous viewpoints, giving insights into motivations, strategies, and cover-ups from every possible angle. This gives the book a balanced feel but does take away from the chance to really get behind any of the characters and develop sympathy for them. The book is incredibly atmospheric, with the New Mexican setting acting almost as a character in its own right. Filled with glitzy spas as well as seedy brothels, the Santa Fe area provides the perfect backdrop for the crimes and alliances that are formed and broken. The area is described with colorful language and razor-sharp insights that help to enhance the action. Art history is also explored in Sing for the Dead, providing context for the goings-on and rounding out Micki and her experience in the industry. This helps to set the book apart from other crime novels and provides an educational experience on nineteenth-century religious icons. 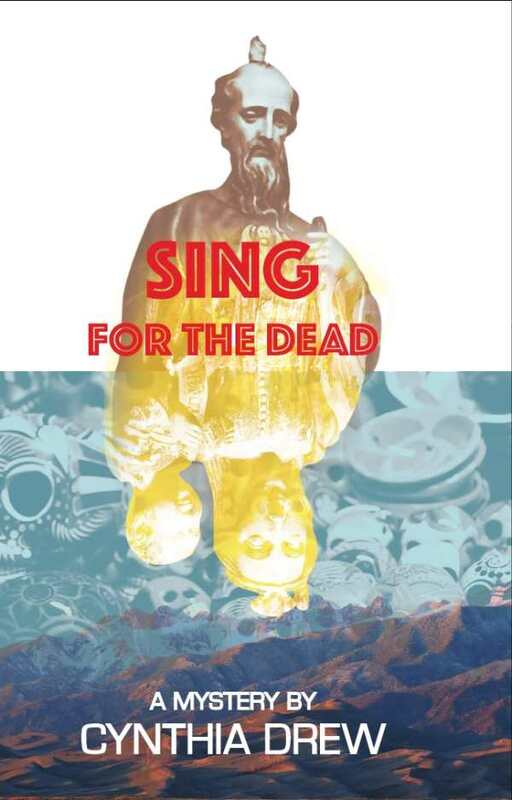 Exposing the underbelly of the art world, Sing for the Dead is a thrilling mystery that harks back to the glory days of pulp fiction.